Our latest creation! Out of a moment on inspiration comes is a just something perfect, a dish that harkens back to your childhood but with an adult twist. And that’s why its called Not Your Kids Peanut Butter & Jelly!! 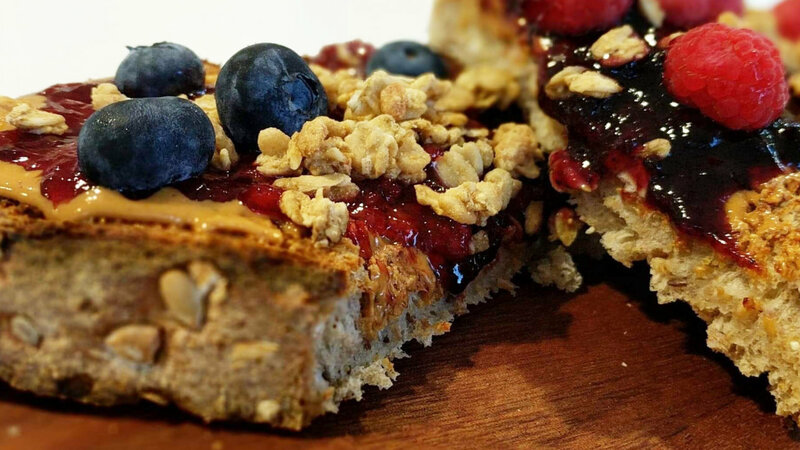 Featuring an amazing all natural organic peanut butter, local blueberry & raspberry preserves, fresh blue berries, fresh raspberries topped with peanut butter granola and just a sprinkling of lemon zest. This toast is something that needs to be tasted to be appreciated!